IN ____ WE TRUST? WHAT IS TRUST? In economic matters, trust is often invoked with little explanation. Trust is also used to describe a whole range of experiences and expectations, especially in the mobile money and financial inclusion space. In this new synthesis, featuring IMTFI projects in Nigeria, Kenya, Ghana, India, Mexico and the Philippines, we explore the “how” of trust. Through these projects and across four broad categories – Channels, Intermediaries, Accounting, and the Source – we explore how trust is made, accounted for, built over time, won and also lost. Ultimately, one of the key takeaways from IMTFI researchers’ work on the ground is that trust in new money technology grows when it can be one among many reliable channels for storing and transferring value. 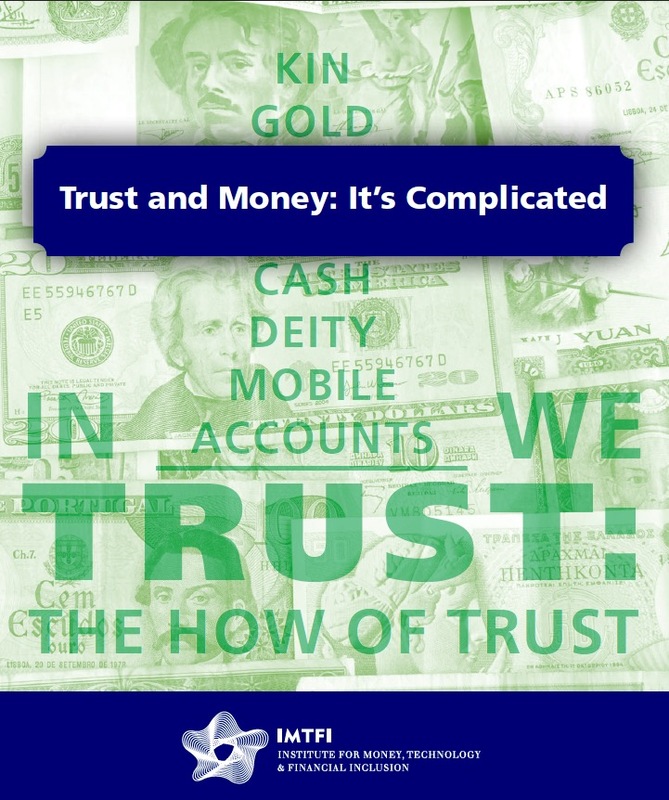 Read "Trust and Money: It's Complicated" synthesis here.